We wandered down to the Angler’s Retreat for the usual Sunday pub lunch. It appears I may have got the spelling wrong with the name of the adjacent reservoir. Yesterday I wrote Startopsend which is how it was written on the map. In the pub it was written Startops End and further down the lane Star Tops End. I was expecting the pub to be packed with diners but there were plenty of vacant tables when we arrived. The friendly lady serving behind the bar mentioned she was an ‘Upper Class Australian’. Oh, a fellow Kiwi! To top it off she came from Palmerston North, which just happens to be where I was born. 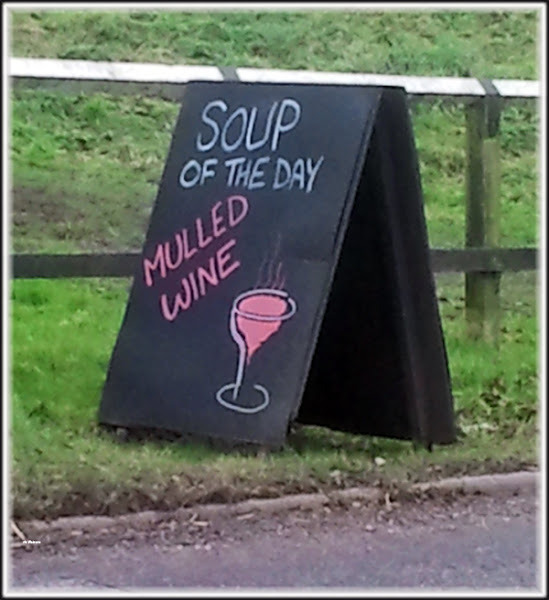 We decided against the soup of the day. Photo below explains why. It appeared we were lucky with our arrival time because the pub started to rapidly fill with boaters, anglers and walkers. We both chose the roast pork which arrived very quickly. 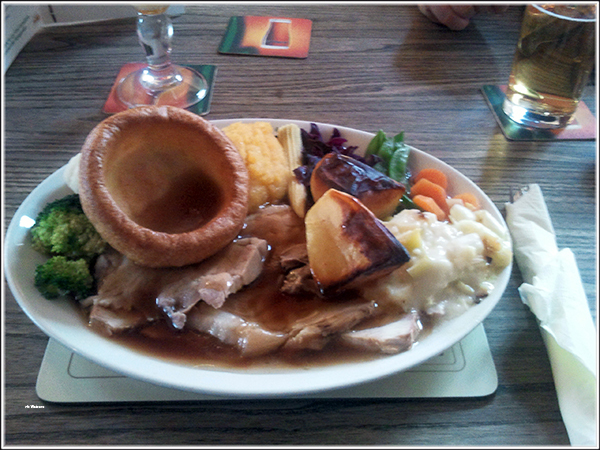 It may not have been the cheapest roast we’ve eaten, but it was certainly the largest to date. It will be a light meal tonight! 10 different types of vegetables to go with the pork and yorkshire pudding. My single criticism would be there was too much gravy and it was too thin. I like my gravy thick. Both of us couldn’t help but notice the young man in the corner who was devouring a plate of yorkshire puddings (10) topped with gravy. No meat and no vege! Back on Waiouru out of the cold and it was time to do some administration. Jan updated the finances whilst I did some maintenance on the diesel Refleks stove. I then spent a good hour attempting to transfer the two pub photos from the phone to the laptop using the usb cable. Eventually I realised a setting needed to be changed in the phone. Ade left a comment on yesterday’s post regarding the round brick structure we had seen in the field beside Marsworth Lock 38. 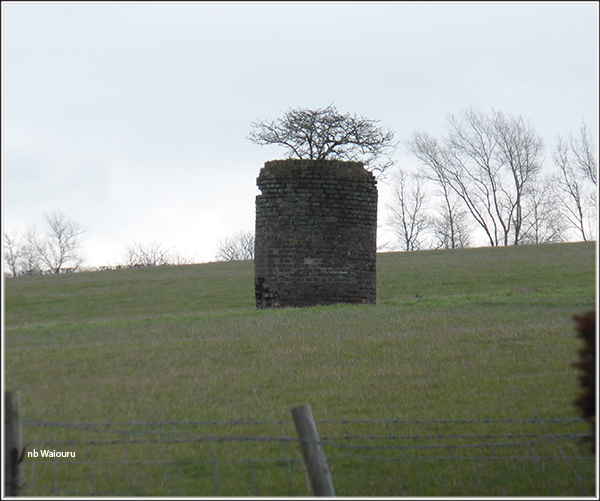 His research indicates it is the ventilation shaft for a drainage culvert which ran from the railway cutting on the other side of the hill to the canal. It subsequently collapsed and the structure has fallen into disuse. I assume the railway would have been happy to dispose of the water and the canal company happy to accept it. We went down to Aylesbury last summer (first boat down after the stoppage at the junction). We can highly recommend Wilstone for a stop - we loved the pub and the community shop was good too. Plenty of mooring both sides of the footbridge. I would stand to be corrected, but I suspect the young person with the Yorkshire Puddings and just gravy was himself a Yorkshireman. Up there they like to eat their puddings as a filler starter, alone with just gravy, and then perhaps again after the main course, again alone, but this time with sugar. Delicious. What dus't a reckon? Champion! Hew was a BIG lad so you may well be right! We plan to visit Wilstone. Jaq (nb Valerie) has already mentioned the delicious bread! Being a Yorkshire lass myself, it depended on which Riding you came from as to whether you had your Yorkshires as a starter or with your main course. My Mum came from Bradford, West Riding, she made her puddings in 2lb loaf tins, non of this round stuff! We always had them with gravy as a starter whilst the meat rested. My Dad, when a lad, helped out with the harvest in the Dales. At lunchtime the farmers wife brought out a huge tin of Yorkshire Pudding and said, "The one who eats most Yorkshire gets most beef". All the young hands filled up on Yorkshire Pud leaving the older wiser farmers to enjoy the modest joint of beef. Yorkshires with jam is meant to be nice, but I prefer them with good homemade gravy. Right that's tea sorted tonight then!